Oooh! 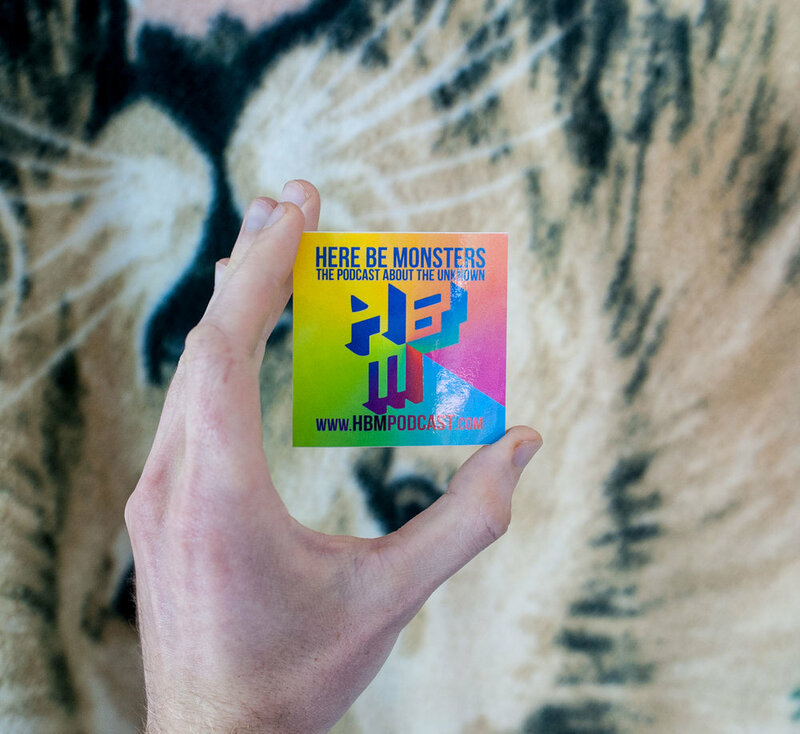 It’s our famous Here Be Monsters sticker. 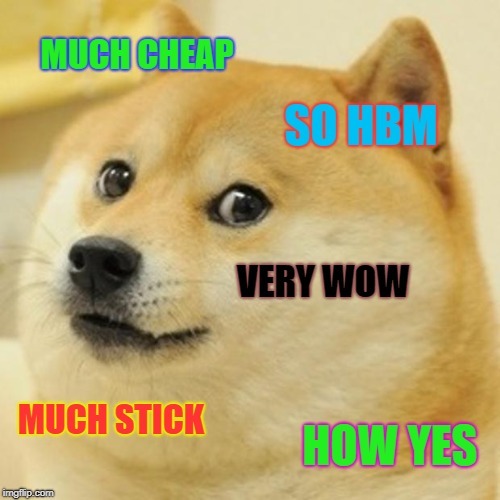 So cheap, so fancy! We sailed the seven seas to find the pinnacle the pinnacle in super-stick technology. 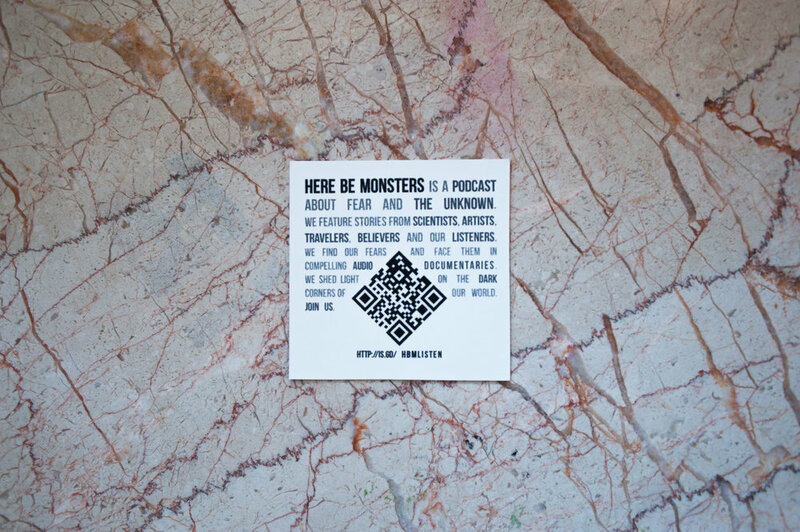 The result: our special vinyl stickers that show the world that you have exquisite taste in podcasts. Our stickers are made of high quality vinyl. They are 2.5" x 2.5", UV coated, and highly adhesive. You can buy just one if you want, but order a couple extras for your pals. Select a larger pack size if you want a lil' discount. "I really have to get home to water my peace lily."